Vote forPhillip Island, VICTop Island Destinations Which are Australia's must-visit destinations? You help us decide. One of the most popular natural destinations that's reachable within a reasonable distance outside Melbourne, Phillip Island is renowned as a nature destination for multiple reasons, but one in particular: its penguins. With a trip here, you'll be able to watch groups of incredibly cute Little Penguins make their way to shore every night at the home of the world's largest Little Penguin colony. Add to this its numerous sheltered beaches, array of family activities, great dining and more, and it's a smorgasbord of things to see and do. Why it's special: Incredible collection of coastal wildlife which can be seen in the wild; good collection of attractions make for a highly family-friendly environment. The picturesque Phillip Island lies roughly 140km to the south-east of Melbourne and is renowned for its wildlife – not only the aforementioned penguins, but its significant populations of seabirds, kangaroos, wallabies, koalas and even Australia's largest colony of fur seals. As a result, what began as merely a farming community now serves as one of Victoria's most popular family destinations, with the appeal of its animal inhabitants an obvious drawcard for families and wildlife enthusiasts in general. The Island's array of wildlife is augmented by its physical beauty. It boasts some windswept, rugged sections of coast most of which have been made accessible via a series of constructed boardwalks giving visitors the chance to take a leisurely stroll further out towards the ocean. Various rock formations – most notably the Nobbies and Seal Rocks – dot the waters surrounding Phillip Island and serve as home to Australia’s largest colony of fur seals. Accessed via the main hub town of Cowes, Phillip Island is divided up into several smaller sub-regions although, it's relatively compact and easy to navigate as a whole. Phillip Island also comes with a significant history of motorsport and is equipped with a fully-fledged racetrack befitting its status as the home of annual events of both the two and four-wheeled variety. Due to its increased popularity over the years, Phillip Island has also become home to a number of man-made attractions to accommodate both families and adults alike – as a result, there are now plenty of options for child-oriented entertainment on the island such as koala parks, maze and illusion attractions, and even ten pin bowling to compliment its natural offerings further. Adults, meanwhile can partake in opportunities to indulge their tastebuds as the island is home to several high quality wineries as well as a wine trail, as well as restaurants ranging all the way from fast food up to high end dining. To have such a varied, diverse and wildlife-rich destination just 90 minutes from Victoria's capital is a luxury that both Victorians and visitors in general can easily take advantage of – and as an island it offers a number of unique and distinct natural draw cards for visitors that many competing destinations cannot. Looking to pay a visit to Phillip Island but not sure what to do? Here are some of the most essential experiences. What's new on Phillip Island in 2017/2018? Need more info on Phillip Island? Check out our detailed travel features on this top spot below. 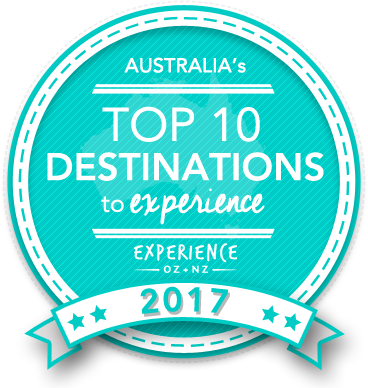 Is Phillip island Australia's Top Island Destination to Experience for 2017? Vote now for the chance to WIN an epic trip to one of Australia's top destinations!